In ‘A Mouse in the House’ Mammy has two cats: Tom and Meathead. Unfortunately, they are both lazy as hell. She tells them whoever catches the mouse (Jerry) is allowed to stay. This premise leads to a wild chase, simply packed with wonderful gags. The cartoon builds up brilliantly to a grand finale in which not only both cats are expelled, but Jerry, too. 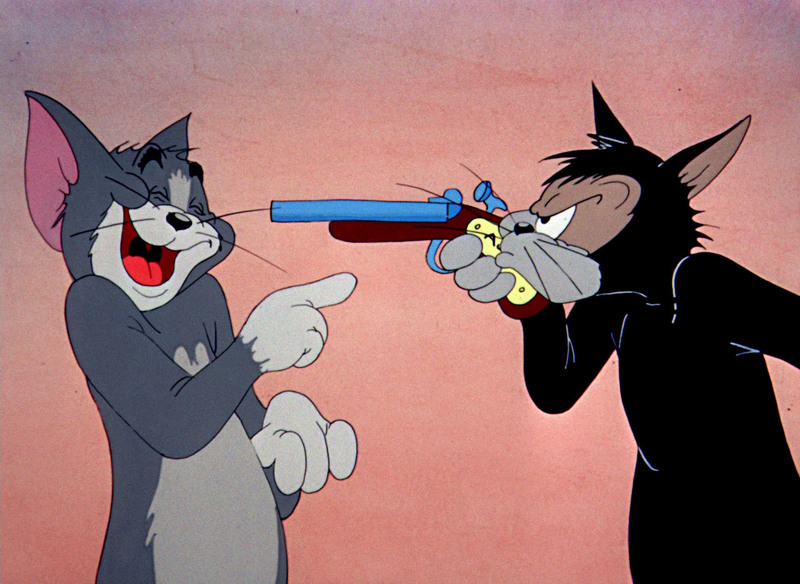 ‘A Mouse in the House’ is undoubtedly one of the most enjoyable Tom and Jerry cartoons. Hanna & Barbera must have thought so, too, because the premise of this cartoon was reused in ‘Pet Peeve’ (1954), featuring Spike instead of Meathead. However, the latter cartoon is no match for the perfect comedy of ‘A Mouse in the House’.